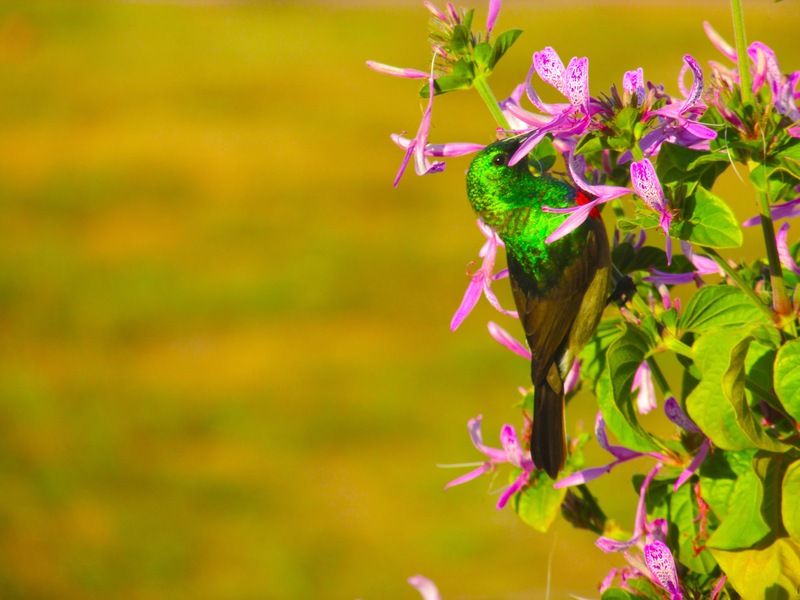 I took this photo of what I always thought was a humming bird but is actually a Sunbird right outside my door. 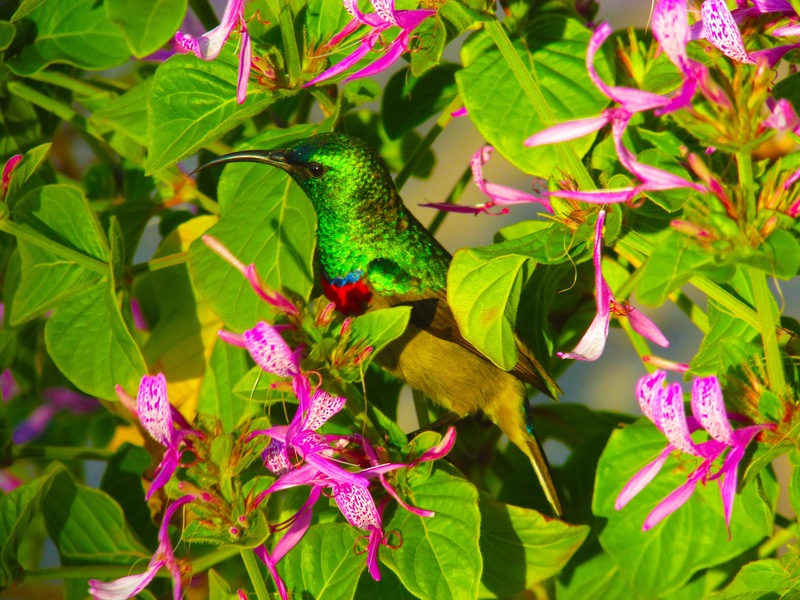 More specifically it is the Miombo Double-collared Sunbird, and it’s scientific name which consists of its genus and species is Cinnyris manoensis. It is one of the most beautiful birds I have come across, it has a glistening and shimmering green face and upper body, with a dash of red across its chest, and a bit of blue on its back. It is quite a small bird, measuring roughly 10cm in length. And it’s long slender curved beak gives it an elegance I can’t quite capture with words. It frequently visits the flowers just outside my front door and it is one of my daily delights watching it hopping, bustling, hovering and flying in between the flowers inserting its perfectly designed beak into them in search of some sweet nectar. Truly a beautiful bird whose sight has made my life just a little bit richer.